Chef on a yacht is a professional cook who can follow the instructions of the Executive Chef and pass them on to the galley team. If there is no executive chef on the yacht, the chef will assume full command of the galley team and the galley. Chef is an experienced person trained in upscale restaurants and private families. The Chef may be responsible for training cooks and their learning, management of the galley, its maintenance in good order, management of food stock, implementation of safety and hygiene standards in the galley, cooking meals and dressing dishes. In addition, the chef follows the expense budget entrusted to him/her by his/her employer or by the executive chef. The chef should have great adaptability and flexibility. This job requires insistence on high standards and rigorousness appreciated by employers. 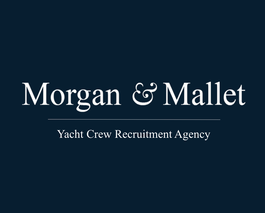 Morgan & Mallet Yacht Crew is a firm recruiting candidates with experience on yachts and having an extensive culinary knowledge. All candidates should have a file completed with photos of dishes, menu examples and references from former employers. It is essential that chefs on yachts are inventive in finding local products based on the location of the yacht. Employers appreciate such findings and product discoveries. A chef should also have a wide culinary knowledge, know cuisines of the world. An excellent chef is also a teacher with managerial and team management skills.